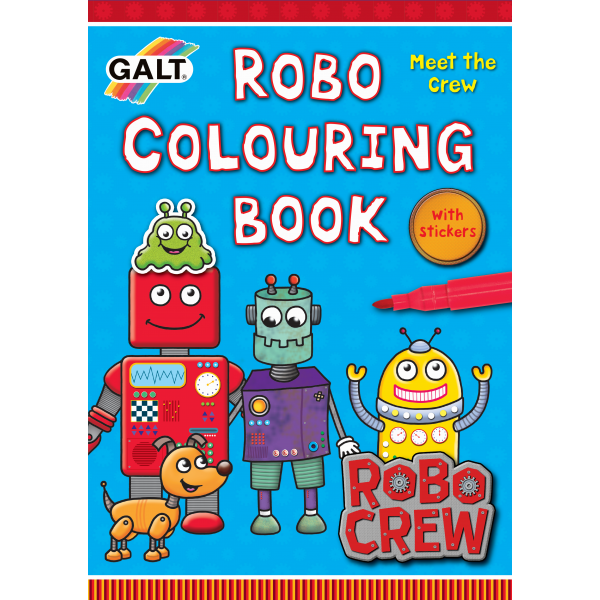 Meet the Robo Crew with this wonderful robot themed colouring book from our friends at Galt Toys. With 24 fun pictures to colour and a sticker for each page, this is a brilliant way for future robo-scientists to wile away a rainy day! It's a very cute colouring set with lots of beautiful designs to complete - little ones who enjoy robots and sci-fi will love it! The colouring book comes with some stickers of the Robo Crew, so there's additional play value included. 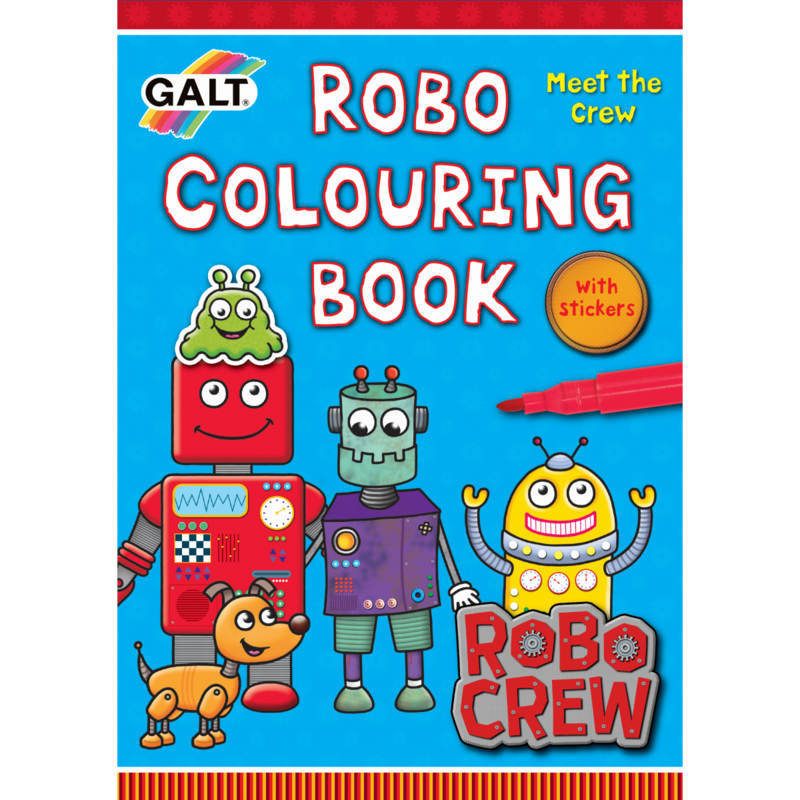 The Robo Colouring Book is a part of Galt's Robo Crew range, so this is a product that can be easily combined with others to create a really high impact gift. Galt products are quality controlled and meet all American, Canadian, British and European standards for toy safety.